When October 8th rolls around, people’s attorney, Lynne Stewart, will have reached her 74th year of life. That she reaches it behind bars in one of the most backward states of the Union (Texas), is a mark of both her extraordinary work as a lawyer, and of the weakness of our Movements. 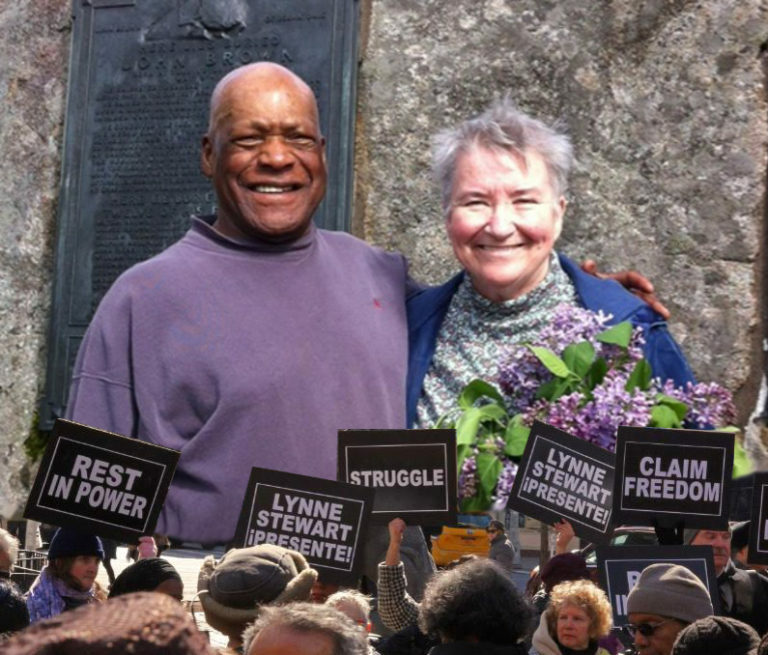 For Lynne should never have been jailed for what is, essentially, a prison rule (the so-called SAMs: Special Administrative Measures) – an unconstitutional one, at that – and a trial that was based more on hysteria than fact. 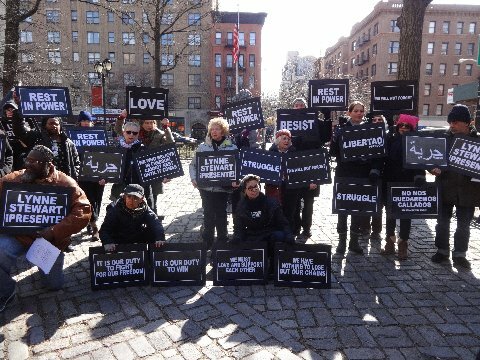 A New York jury, flashed film and photos of Osama bin Laden? Seriously? Who wouldn’t have been convicted? 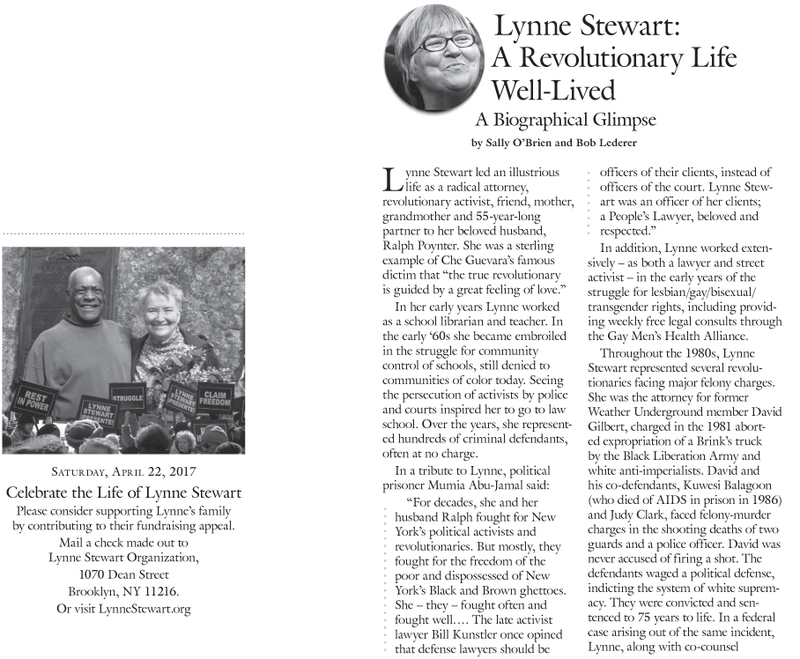 But Lynne was targeted for her long and distinguished history as a lawyer of last resort: the unpopular the poor, the political and the downtrodden knew, from word on the street, that Lynne Stewart would take your case – and rumble. for this she was targeted; for this she was tried; for this she was convicted; and for this, 2 years was quintupled into 10 years! Lynne was convicted of treason to whiteness! The rest is pretext; law practiced as politics to sow the seeds of fear in other lawyers –lest they forget their place. Lynne should be free – only you can make it so! 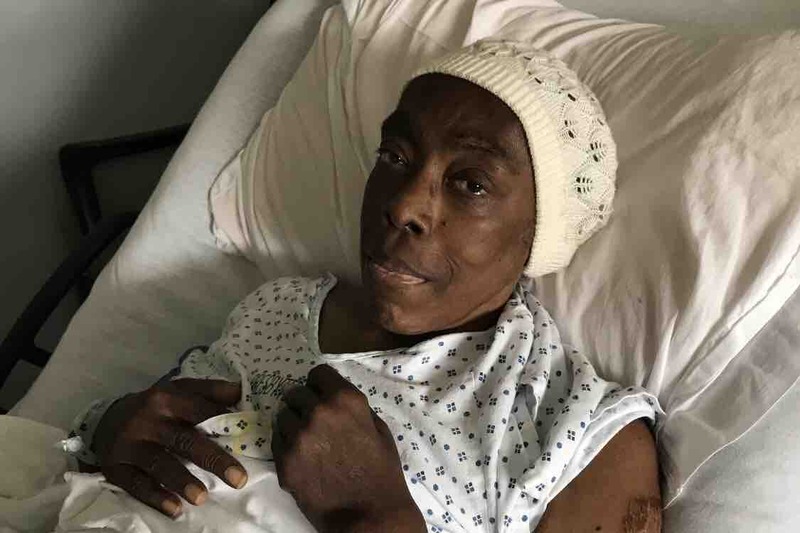 Contact: lynnestewart.org, and fight for her who fought for you.